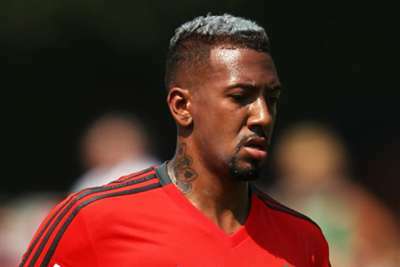 Bayern Munich boss Niko Kovac expects Jerome Boateng to stay with the Bundesliga giants, but acknowledged the defender could still move away before the end of August. Boateng played the entire 90 minutes off Bayern's tightly contested 1-0 DFB-Pokal victory over minnows Drochtersen/Assel - Robert Lewandowski netting the decisive goal late on. 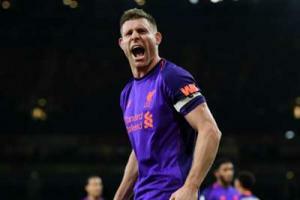 The Germany defender claimed at the end of last season that he would be open to a new challenge after seven years at the Allianz Arena, with Bayern unlikely to stand in the way of an exit. However, Kovac believes the 29-year-old will still be at the club come September. "If anything happens at the end of the transfer period then we see, it may happen," said Kovac. "But I'm going to assume that nothing happens, I'm glad that he got through this game very well." Kovac won the competition with Eintracht Frankfurt last term and the victory represents his second competitive win as Bayern boss following the DFL-Supercup triumph over his former club last time out. Unlike that resounding 5-0 success, Bayern were lacklustre for much of Saturday's encounter, and it took an 81st-minute strike from Lewandowski to see them through. "It was a difficult game, as it always happens in the first round of the cup," said Kovac. "We did not really want that. We were warned, but you have to say that the bottom line is progress."